The boys are playing soccer today. On the gravelly red clay it’s a different game than the grass game, just like blacktop basketball is different from the hard court variety. I haven’t see a slide tackle; I don’t think anyone will take a dive to draw a penalty. I’m not sure if there are even penalties in this game. 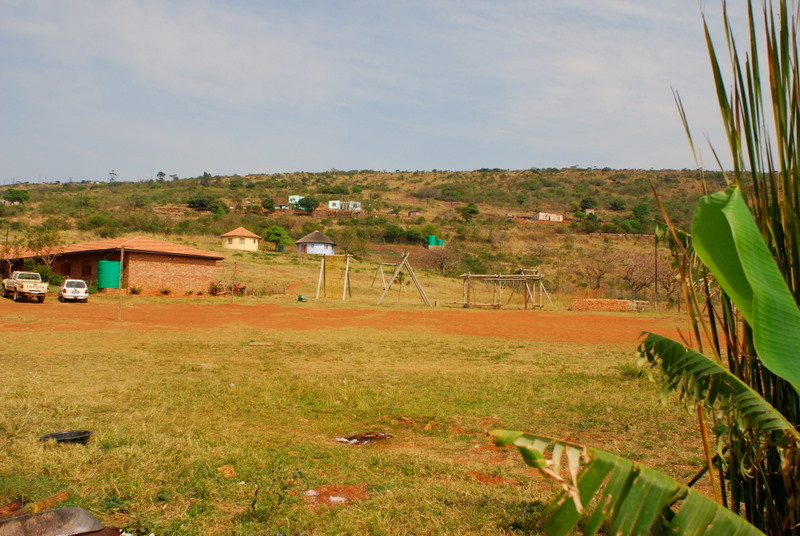 The idea of Lebolla–the bride price–is apparently still very much followed in rural South African culture. Fana, a guy who I’m working with here, suggested 12 cattle or upwards of R50,000 is required these days. Of course there are some who can afford it, but it seems some who are otherwise ready to get married are not solely because of the onus of the lebolla. One of my favorite SA traditions is not really that old nor is it that impressive. On the country roads, there are often slow vehicles–heavy trucks, half-working bakkies, cautious drivers–while other wish to go highway speeds. The slower vehicles will often slide over onto the shoulder to make it easier for the faster driver. The faster driver will then turn on his hazards for a couple seconds—”thanks”—and then the slower will flash his headlights—”pleasure”. I love that little back and forth. I don’t know much, but I know that 25L of water weighs a fair amount. And if I carry that up a hill from the spigot to my place every day, I’ll have strong shoulders and back by the end of these couple weeks. The colors here are instantly memorable–the dark red of the clay, the greens of the plants, the off-whites and browns of the thatched roof houses. It’s hot during the day. It’s winter, remember. In Cape Town, it felt like winter. Houses don’t have heat and I was wearing a sweatshirt or an outer layer almost constantly. But here, it seems to be summer already. I may be wearing pants, but that’s more because it seems that’s proper at the center than the heat. It’s a dry dry heat. It’s not unbearable, but it’s warmer than one would expect for winter.